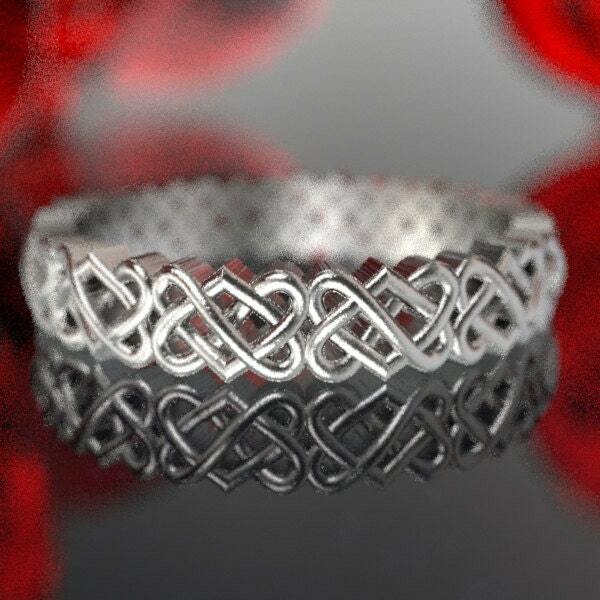 This ring features a unique heart knot design. 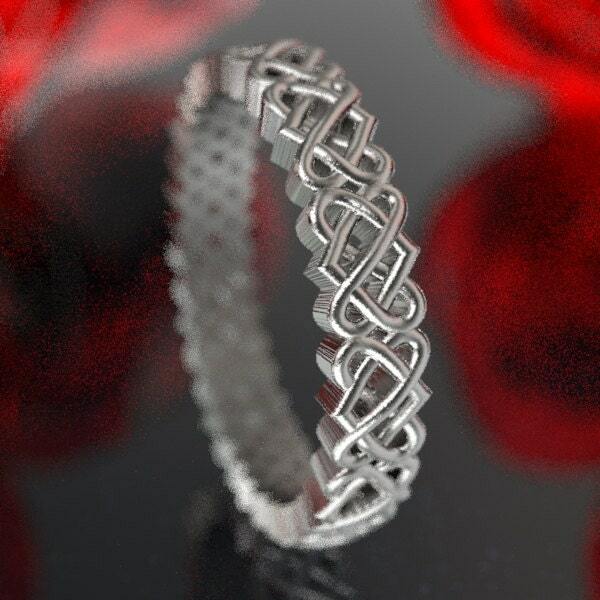 Intricately weaving heart symbols creating a beautiful celtic knot pattern. 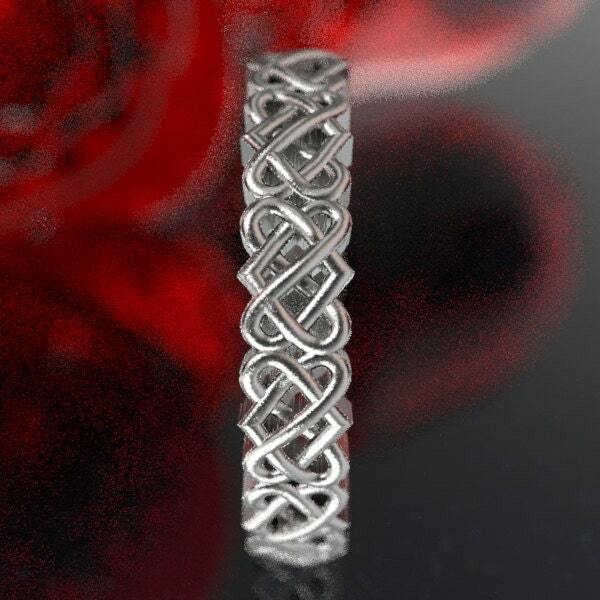 This knot represents two becoming one for an eternal love! A simpler design for a less busy look, the graceful and sweeping curves are sure to dazzle your lover! We offer different Finishing options. The finish used in the photos is the polished without patina. Please choose from the drop down menu. Cast in solid sterling silver, these rings are made of 100% recycled metal. We polish these rings, but can put a brushed finish on these rings upon request. 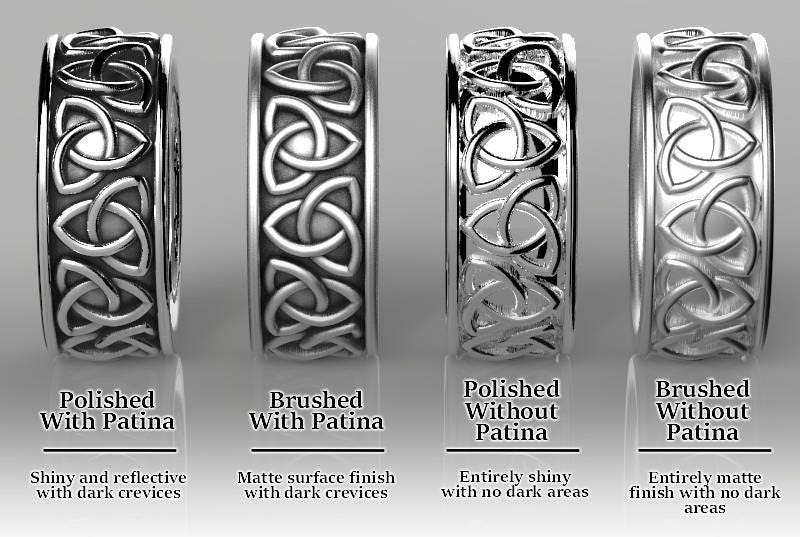 Each ring is individually made with unbroken pattern in your size so the width of the ring varies depending on how wide your finger is, so all rings match proportionally (see the chart below to see how big the ring is in your size). We can vary the width, please message us if you'd like a custom width. 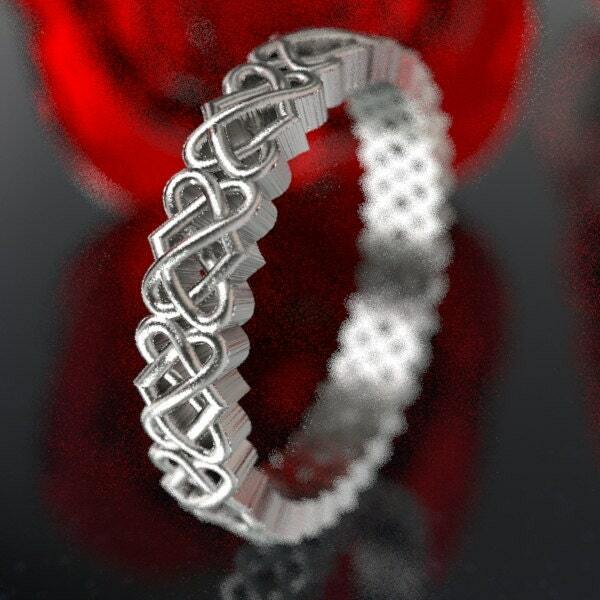 Our rings can be made in any material from Silver to 18K gold and everything in between. We give a 10% discount for wedding sets, please ask us if you intend to purchase a set of rings. We have many other designs not yet listed on Etsy, if you have a request for a specific knot or design, don't hesitate to contact us!